Don’t worry, I’m not dead! I just haven’t raced in a long while. 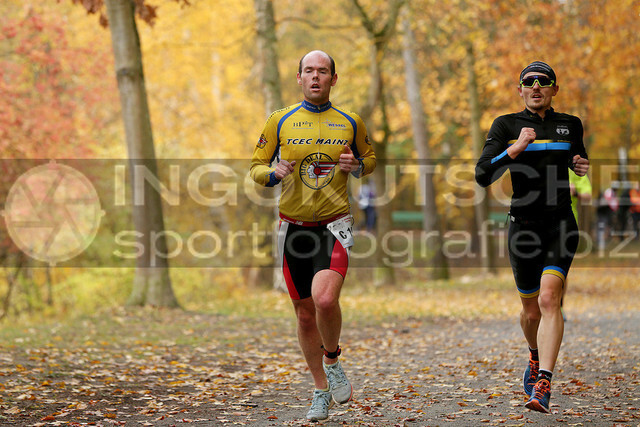 I’ll give a bit of an update, then get on with the Rüsselcross duathlon race report. So Remagen was a nightmare. I mean really bad. I took a bit of time after the race to recover and get into the off season. The weather has stayed lovely through all of September, October and even now in November it’s pretty good, so I decided to ride some longer rides on the weekends and collect a few extra kms as some base for next year. That went pretty well. I did some fairly hilly rides including Feldberg and Hohe Würzel and Hausen and really enjoyed them on my new road bike. I even did a CTF, which is a cross bike ride. I’m so bad off road that I didn’t really enjoy it too much though. At the start of November, even though the weather wass still good, I decided to hit the trainer. I’ve started the TrainerRoad Sweet Spot Base Mid 1 and I’m at the end of the 2nd week now. I think I’ll do a post about it sometime. I wanted to increase my running again, not a lot, but back to 40km or so per week. Though my fitness seems ok (not good, ok) I started feeling my piriformis and groin again as soon as I started running 3 days a week. Last week I discovered as I lay in front of the TV that I always lie on one side with my legs bent. I tried lying on the other side and it was agony! My piriformis felt very short and seems to be pulling on something that affects my groin. I’ve been stretching it as much as possible for the last week and it seems to be loosening up, I’m fairly hopeful it will get better now. Anyway, to the Rüsselcross duathlon. I was fairly unaware of the Rüsselcross duathlon until Basti asked if anyone wanted his start slot. I looked it up but was too scared. Fast forward 1 week and I decided to give it a go. It is a 5km train run, 20km cross bike, then a 2.5km trail run. My bike handling skills are very limited so I was glad that the course was pretty dry and flat, though there would apparently be some sand to watch out for. Lots of TCEClers were taking part, so we had a nice group and I had plenty of people to hang around with and chat to. One awkward moment was when I arrived and some young woman came straight up to me looking almost excited to see me asking what I was doing at a cross duathlon. Unfortunately I have no idea who she was, I didn’t even recognise her! I had to talk unspecifically for a couple of minutes, thinking she may have mistaken me for someone else before getting the hell out of there. So the race. I didn’t want to push the first run too much, so from the off I settled in to a tough but manageable pace. It was 2 loops and not a difficult course at all. My GPS says it was 100m long, but I finished feeling good in 20:09. My transition wasn’t bad considering I don’t have mtb shoes, so was in normal SPD-SL shoes and cleats. I came out of T1 with the first woman in about 9th place. I decided that although her pace wasn’t too fast, I would sit in and see what the course had to offer. After a few km a teammate of hers passed us and pulled in in front of her to work as a domestique. It was perfect. I was drafting at a good pace whilst riding fairly comfortably. After maybe 7km came a left turn, I was losing time on the turns due to my crapness, but catching back up on the straights. This time though there was the sand. I know you should carry speed through sand, and I needed to catch back on, so on I went. I remember my front wheel sliding, I guess I over-corrected then I was airborne! The good thing about crashing on sand is landing on sand. I wasn’t hurt. I jumped up, got my bike, struggled with the chain for a while and got going again. It seemed like a bit group had passed me as I was struggling. Having crashed once, I was very cautious for the rest of the ride meaning that lots of people passed me. The rest of the course wasn’t so bad though. There was only one muddy part which was a bit scary on the 2nd lap for me. The 2nd time in the sand section I crawled around it on the grass. 15 seconds lost is better than a 2nd crash! 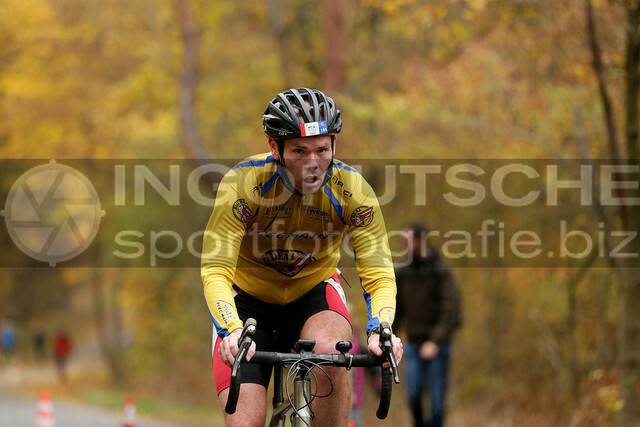 So I was happy to be finally done on the bike, even though I would probably be in abut 30-35th place now. I had a good flying dismount and quickly got my shoes on, before realising that I had a chap stick in my shoe. I had to take it off my shoe again, remove the chap stick and go again, stupid. Off I ran feeling pretty good. I overtook 3-4 people and near the end realised that I was right next to the guy I ran with on the first run – he must be a crap cross biker too! He had a little sprint left so finished just ahead of me, no harm. Sprinting for 30th place wasn’t so important to me. I chatted with the TCEClers as they finished and got ready to ride home before realising that, somehow, I was 11th place (since changed to 12th) and 4th in my age group, with the sprinter being 3rd! Again, it wasn’t a big deal, I wanted to head off anyway rather that wait for a bottle of wine, but I need to fight for every spot in the future. 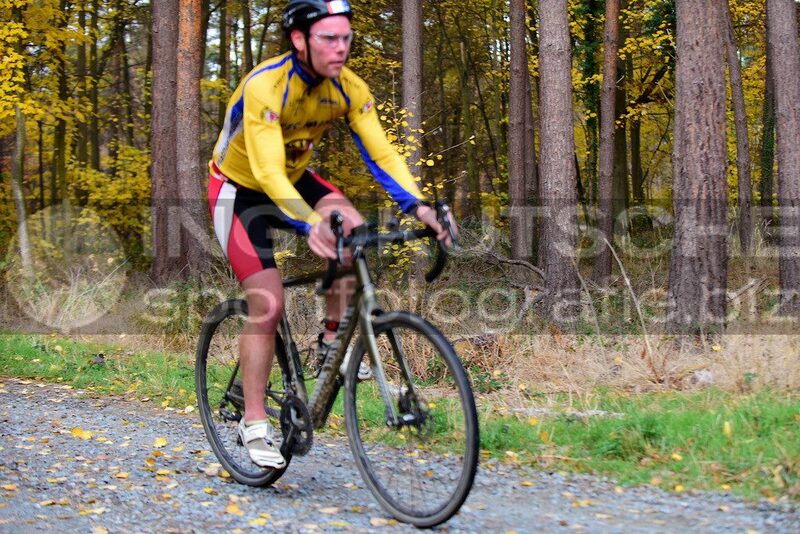 So that was my first cross duathlon. My runs were okay. Apparently my 2nd run was faster than my first – 3:52/km vs 3:57 – so that is decent. My bike handling skills are so bad though. Even though I crawled the 2nd lap, I was 45 seconds faster on the 2nd lap. I have to think I could ride 5 minutes faster if I could handle the bike better (and not crash), and that would have had me in about 5th place. I’ll have a think about doing another cross duathlon in the future, but until then I will be back on the trainer laying some base for next year. Who knows I might even swim at some point, it’s getting a bit embarrassing how little I have swum since Remagen! I guess it won’t be as long until my next race now. I owe you a new bike post and a trainer road post, so I’ll see you soon!